Trees Are Not Lollipops: Rosen Trevithick, Chocolatier extraordinaire. Those of you who know me will have heard of today's interviewee before. I've been illustrating Rosen Trevithick's Smelly Troll books for a few years now. In fact, I interviewed her before, almost two years ago to the day. I have special reason to interview her again though. 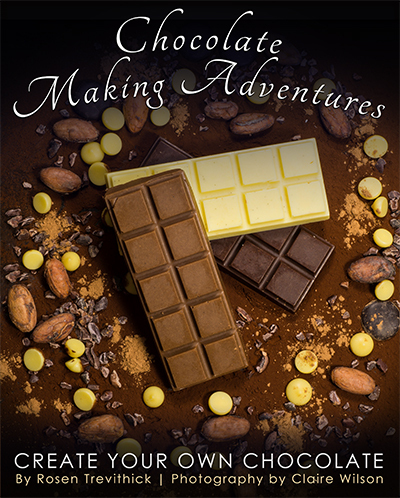 She has written a book that is very different to anything she's done before and will appeal to everyone I know - 'Chocolate Making Adventures'. Who doesn't like chocolate? And it's a beautiful book! 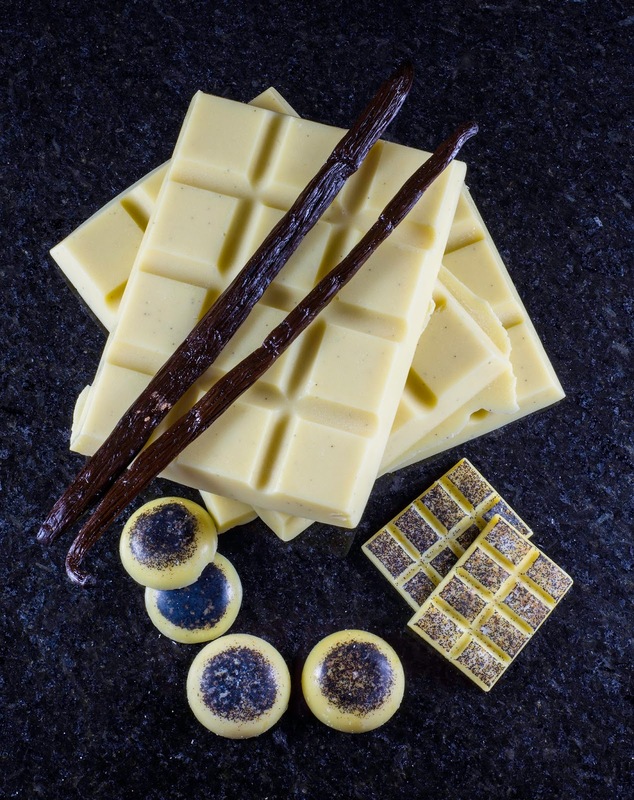 The cover of your new book makes my mouth water and I gain a kilo just looking at it, but what makes your book different from other books about making chocolate? The other books are lying! Or, more politely put, many recipe books that claim to tell you how to make chocolate, actually tell you how to work with chocolate. Chocolate Making Adventures is unique in that it tells you how to make chocolate itself, working with cocoa butter and sweeteners. There are websites about making chocolate, but I’ve been unable to find any full-length books. I think the reason is that commercially available cocoa butter is a relatively new thing. I imagine we’ll see a lot more cookbooks on this subject popping up over the next twelve months. You’re best known for your novels for both children and adults, from trolls to naughty grandmothers. Why did you decide to do a book about chocolate? I became addicted to making chocolate and obsessed with trying to find a way to make milk chocolate at home – it’s simple once you know how, but it took a long time to figure out why recipes I read online didn’t work, and to develop a new method. 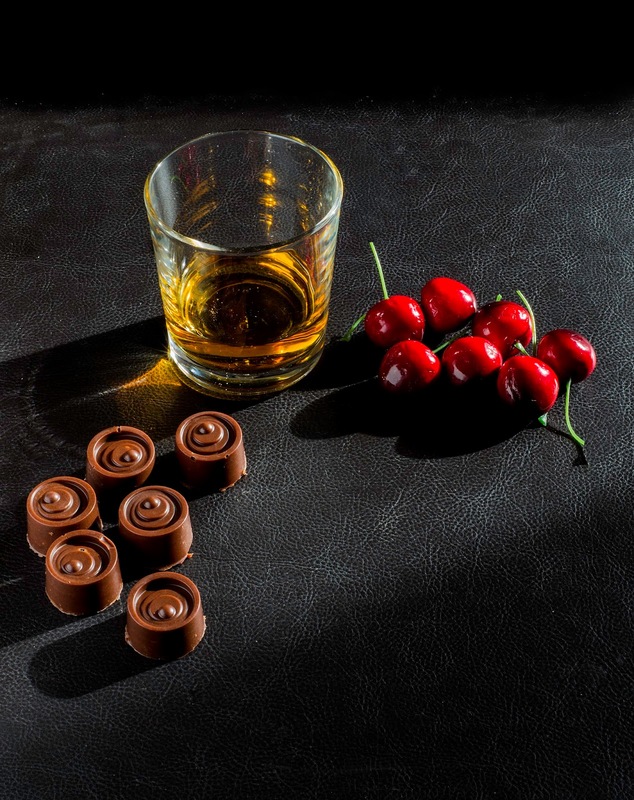 I was getting behind with my writing projects but realised I could seize back those procrastination hours if I made my next book about chocolate. Could you tell us a little about the fantastic photos in the book? Who did them and how did she go about making them so fantastic? The photos are by a wonderful lady called Claire Wilson. She is an experienced photographer who’s just taken an exciting leap into freelancing full time. I was lucky enough to be one of her first food photography clients. When we started out, I didn’t realise that professional chefs have entire teams working to make food look perfect for photos. Usually a food stylist gets involved between the writer and the photographer. Because of lighting, sometimes photographs of artificial props look more like the food than photos of the actual food. I didn’t know any of this and just blindly followed my recipes, regularly handing over chocolate with an apology, “It’s not shiny”, “They’re misshapen”, “The surface has bloomed” etc. Claire not only had to photograph substandard chocolate but also take the role of food stylist, to come up with unique and interesting ways to present each one, as chocolate itself looks quite plain. In most cases, she used props and background to add interest and colour. Each photo is a little work of art. I see the work as a photo book as much as it is a recipe book. Creating plain chocolate is very simple. I’ve seen recipes that suggest you just melt three ingredients together and allow to set. I personally feel it needs an extra step to ensure the ingredients don’t separate out, but even with my extended method, you can do the whole thing in less than an hour. Varieties like milk and white require a little extra attention, but once you’ve got the knack, you can easily prepare those in less than an hour, too. As for equipment, you can make chocolate in a bowl above a pan of boiling water and leave it to set in whatever you have to hand. Perfectionists and people who are planning to make a lot of chocolate, will want to buy a slab and scraper for the smoothest possible results, and some moulds for presentation. As for hot countries, a crucial step in my recipes is to spread the chocolate around on a cold surface, to quickly cool it. I imagine that would be difficult in a hot kitchen. I suspect you’d need air conditioning. Do you have a favourite chocolate that you would recommend over all the others? Why is it so special? My all-time favourite has to be peppermint cream. I just love the contrast between dark chocolate and the fresh, minty filling. Then there are the peanut butter cups, which you can make with or without oaty biscuits. You can make peanut butter simply by blending peanuts. Nothing so simple should taste that good. Oh, and the amaretto creams with boozy cherries are heavenly. I don’t drink, but I so allow myself one or two of these from time to time. They’re a real adult’s chocolate. I also have a soft spot for homemade white chocolate, because it took me a very long time to work out the secret. How can you make such wonderful looking chocolates and stay so slim? Do you not eat your own produce? I actually put on ten pounds whilst writing this book! But then I was surrounded by chocolate all day, every day for many months. A trick I learned from a birthday card my sister sent me, came in handy: "If you can’t lose weight, fatten up your friends." Thank you for having me on your blog. Thanks for coming on, Rosen. My mouth is watering just thinking about all this chocolate! Rosen's book is available as an ebook or in print from Amazon and other online stores. This is my motto, first heard when I was five years old and asked to draw a tree. Our teacher looked at all the drawings we'd done and said, "They're lovely, but remember trees are not lollipops". She made us look at trees more closely and see what they really looked like. It helped me with my drawings, but now I apply it to everything. I don't accept what other people say about something or someone until I've looked carefully for myself.